Electronics manufacturing is a complex process and any decision to transfer this practice to an external supplier must be taken with great care. While the benefits of outsourcing for Original Equipment Manufacturers (OEMs) are well documented, there are, of course, risks and concerns. So a successful outsourcing strategy will demand a critical assessment of your current positioning and clarity of your future goals and objectives. 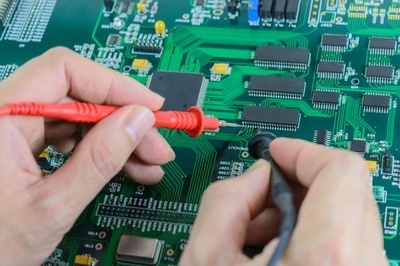 There are many reasons why an OEM might choose to outsource its electronics manufacturing. And the decision can impact the business in a variety of ways, from the people and premises, through to the relationships the OEM holds with their existing customers and suppliers. The ‘make or buy’ decision is almost as old as the manufacturing industry itself. 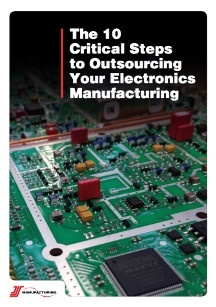 In electronics manufacturing the surge to outsource dates back to the 1990s, when large numbers of OEMs critically reassessed their manufacturing strategies to take advantage of new outsourcing opportunities that promised to improve their overall performance and reduce asset and operational costs. Historically, the decision to outsource was often driven by a specific operational need rather than as part of a well thought out overall business strategy, often resulting in a somewhat ‘arm’s length’ arrangement with Electronics Manufacturing Services (EMS) companies on a ‘product-by-product’ or ‘contract-by-contract’ basis. 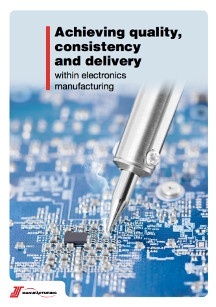 Outsourcing electronics manufacturing has evolved dramatically since those early days as OEMs discover that, with a more collaborative approach, there are significant gains to be realised which will improve their planning accuracy, enhance their ability to respond more quickly to rapidly changing market conditions, and reduce their operational costs. 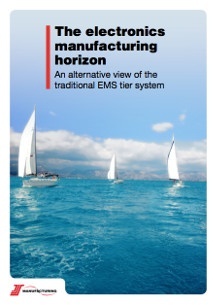 EMS companies also evolved during this period by extending their range of services beyond just contract assembly - taking control of both ‘upstream’ supply chain activities and additional assembly and logistics offerings such as agile build/configure-to-order options, sophisticated product testing, direct order fulfilment, and managing returns and repairs processes. As a result, today’s outsourcing arrangements are typically based on close, collaborative working partnerships between the OEM and their EMS partner, leveraging the strengths of each with totally ‘synchronised’ supply chains to achieve the business objectives of the OEM. What does an OEM really gain from outsourcing their manufacturing? Outsourcing allows you to reduce your time to market, which keeps you ahead of your competition and ensures that your customers get to enjoy products when they want them. The speed in which you can satisfy consumer demand makes the difference between a successful/growing company and one that gets left behind the competition. 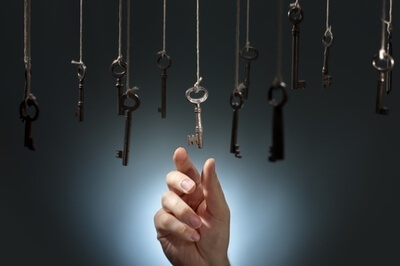 So what are the strategic factors behind an OEM’s decision to outsource? All companies want to optimise the return on the resources that they have, which can lead to the decision to outsource processes that they may define as non-core. In the early days, companies outsourced what they considered to be peripheral activities such as cleaning, transport logistics and maintenance. So how do we define a core task? Let’s look at an example of a large German OEM. In addition to manufacturing all the specialised components, cable looms and electronics for their products, this OEM has an onsite machine shop producing their own fasteners. Vertically integrated it may be, but unsurprisingly the lathes and milling machines that make these rather standard parts are idle much of the time. So is the model really that efficient? 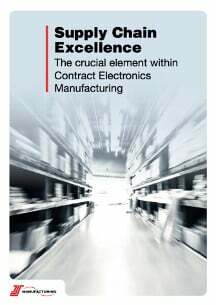 The growth of outsourcing in electronics manufacturing and the arrival of the term ‘contract electronics manufacturer’ (CEM) dates back to the first realisation that the PCBA was a very identifiable, specific, sub-assembly that OEMs could outsource. This outsourcing process has then been further accelerated with the subsequent introduction of SMT and the resulting increased sophistication and cost of the equipment required to produce such an assembly. Capacity constraints can arise when an OEM outgrows its premises, has difficulty in recruiting enough people with the correct skills, or needs to invest in additional or upgraded equipment.  If your marketing campaigns have gained real momentum and have led to an increase in orders for your sales team, then you’ll need the resources and skills to manage these new customers and satisfy the demand. Perhaps you crave additional revenue but have taken the strategic decision to limit your sales and marketing activity in fear that any new business would deplete the resources you have? This can be a particular challenge for organisations with long sales cycles, where new activity takes months, if not years, to come to fruition. 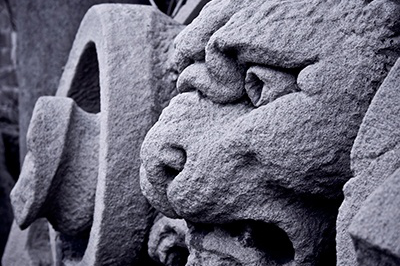 Carrying additional layers of overheads in order to react to unpredictable demand can be a challenging dilemma for many Financial Directors. Run your organisation in a leaner way and then hope to recruit additional staff when the sales come flooding in? What if you struggle to find the right people, with the right skills, when you need them the most? Sometimes the comfort blanket these additional overheads provide is too hard to completely relinquish. An OEM whose general level of demand is increasing but that can’t, or doesn’t want to, increase its capacity may need to question its entire strategy and give serious consideration to outsourcing. Guidance on outsourcing and what repercussions such a decision can have. How much control do you really have over your costs? A key benefit of outsourced manufacturing is the advantage of a genuinely fixed unit price for products. Capacity constraints can be a driver to outsource excess demand, but what about the effect of periods of lower-than-planned demand on your product cost? Arguably, it’s easy to calculate the cost of a product at a unit level. For assembly, it’s a case of simply calculating the number of hours it takes to assemble it and multiplying that by the hourly cost of the labour. Likewise with material, just look at the direct cost of the material that goes into the product. If demand increases - whilst this may be a good problem to have - it could require additional capital expenditure. But what happens to the cost if demand falls? On the face of it the cost stays the same, yet your unit cost is actually increasing rapidly as your production and procurement labour, along with associated resources such as space and capital equipment, becomes underutilised. In an outsource model this doesn’t happen. Whether you buy 10 products one week or 40 the next, the unit cost is still the same. So why is it any different for an EMS company? The answer is that they have a mix of customers and supply models, they are operating in a variety of industries, and they have an organisational structure that allows them to flex the means of production across all of those resources. It’s that agility that helps an EMS company minimise the cost impact of changing demand patterns and still deliver product on time. And you enjoy the same level of dexterity and responsiveness that you would expect from your own shop floor. Of course the decision to effectively ‘give up having a shop floor’ isn’t just about cost. The true cost impact of not delivering to a customer can outweigh any savings. 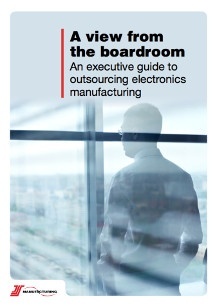 Whilst many OEMs still have a procurement-led approach to outsourcing, it really needs a ‘boardroom’ view with the Financial Director’s involvement often being critical. And cost savings alone may not be enough to justify the risks and challenges of outsourcing which should be analysed, viewed and weighted along with other key business metrics such as increased cash flow, greater financial flexibility, reduced lead times, improved on-time delivery, asset divestiture and the avoidance of future asset-related investments. 4. How far should you go towards complete outsourcing? Generally speaking, it makes sense to outsource as much as possible to the subcontractor – that’s where you get the greatest amount of benefit. But there may be some technical aspects of the build process that should be retained in-house. Let’s say you have a product that measures minute particles of gas in a special test environment. In all likelihood, you will have developed bespoke equipment to produce or test such an item. It could be prohibitively expensive and exceptionally time consuming for the outsource partner to replicate the equipment or the procedures involved. In this instance, it may make more sense for you to retain that part of the build process yourself. The other big question at the outset is whether to free issue or have your EMS partner procure all the materials. On one hand, free issuing allows you to maintain control over part or all of the component procurement process. That can feel important for some organisations when handing over manufacturing to a third party. On the other hand, free issuing presents a number of challenges to the total benefits of outsourcing. You have to maintain the infrastructure to handle the supply chain and a warehouse to hold stock, reducing potential cost-saving advantages. You also add an extra and usually unnecessary level of complexity at the very time you’re trying to simplify things by outsourcing. When you free issue material, you’re responsible for making sure all parts are genuine and are available in sufficient quantities at the right time. Incorrect, damaged or missing components cause significant delays and impact delivery times. A good subcontractor will have end-to-end processes in place to seamlessly merge the management of the supply chain with the requirements of the assembly line. Remember, a subcontractor’s entire business is focused on manufacturing; that is what it does, day in and day out. Put simply, it makes sense to outsource as much as possible to a subcontractor. Free issue offers few advantages and potentially many disadvantages. Is your sales growth outstripping your current manufacturing capacity? Is electronics manufacturing really core to your business? When a company decides to outsource its manufacturing it can send shock waves through the organisation. If you are not prepared for the initial disruption, you could soon run into difficulties. Before talking to a subcontractor, you should consider the implications outsourcing will have on your people, plant, equipment, suppliers, customers, and internal resources. It is advisable to get Human Resources (HR) involved in the process early. Unless you have plans to re-deploy your workforce you will be making a number of people redundant. Furthermore, depending upon the proportion of work carried out by some staff, it is probably the case that you cannot simply let those people go. All businesses in the United Kingdom are required to comply with the Transfer of Undertakings (protection of employment) regulations (TUPE) which were updated on 31 January 2014. TUPE applies to organisations of all sizes and protect employees' rights when the business they work for transfers to a new employer, or when businesses are merged, sold or bought. The regulations also apply in outsourcing situations such as when a contract is put out to tender or when work is brought back in house. Failure to take these kind of regulations into account can mean running into difficulties further down the line. Some EMS companies may have direct experience in this area however it is vital that you seek professional advice yourself from the beginning. Even if no personnel are likely to be transferred under TUPE or made redundant, your HR department may still need to be involved in staff retraining, etc. When it comes to plant and equipment, you have three options – you can dispose of it, sell it or transfer it to your subcontractor. As already mentioned above, there may be certain pieces of equipment that you want to retain such as bespoke or niche pieces of equipment – like a test fixture. For other equipment, it may make sense to transfer or sell it to your new outsource partner. If you have existing contractual arrangements with your suppliers that need to be addressed, can they be cancelled or restructured? At the very least, you will probably have long-standing relationships with some of your suppliers, so if it makes sense those relationships could be transferred to the subcontractor. Don’t be surprised if you encounter some resistance internally at this point. There may be people in your organisation who want to retain some of these relationships. But, as we mentioned above, the greatest benefit will be gleaned by handing as much as possible over to your new outsource partner. 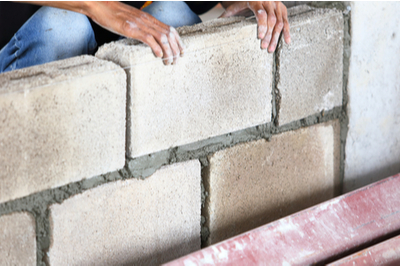 A good subcontractor would be able to take over the supply chain requirements seamlessly. And this might include working with your key suppliers. Generally speaking you will see more benefits by moving all procurement responsibility to your subcontractor. However, there may be critical bespoke items that a supplier has designed specifically for your product. In this instance, it may make sense for you to continue to purchase these directly and retain the relationships. Most contract manufacturers will respect your decisions and raise no objections. You will also need to consider how your customers might respond to you outsourcing your manufacturing. Some customers may care passionately, particularly if you are producing a niche product and may feel that you are taking an undue risk with their business. To reassure these customers, you may want to involve them in the decision making process or even take them to meet your preferred subcontract partner. 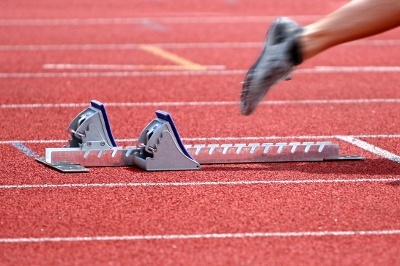 Lastly, you’ll have to decide whether you have the time and commitment to see the whole process through to completion. A professional subcontractor will test you rigorously on your drawings, build packs, and procedures. Do you have the internal resources to handle these questions? It can also take up to three months for all the preparatory work to be completed. So are you prepared to invest in the long term and wait for results? 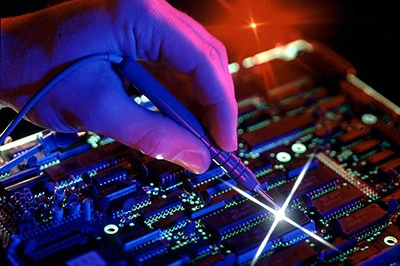 Why wouldn’t you look into electronics manufacturing outsourcing? While it can be tempting to start selecting potential EMS candidates straightaway, at this point, a little bit of restraint is highly recommended. It is critically important that your team first determines its objectives. Naturally, this will vary from one company to another, whether you are looking to outsource a single product, shift growing production volumes to a higher capacity partner, or closing down your entire manufacturing operation. You also need to make sure that everyone involved in the plan, including the steering committee, agrees up-front on what ‘success’ will look like at the end. Due to the extended timescales that can be involved, the original objectives may sometimes be forgotten or even replaced with new ones. It’s important then to make sure these are communicated throughout to ensure expectations are managed. It’s recommended that you make sure any project plan you create, and the milestones within, remain specific, measurable, attainable, realistic and timely (SMART). With your objectives established, the supplier selection process can begin in earnest. Unlike some markets, it is relatively difficult to research the EMS sector, which is fragmented to say the least. While online research can be undertaken, this can be time consuming because there are many suppliers across multiple layers within the market. One of the most common ways OEMs find potential partners is through recommendation or word of mouth. OEMs will typically start with a shortlist of about ten potential suppliers, which will then reduce down to three or four strong candidates. Keeping your original objectives at the forefront of your mind will help immeasurably in narrowing down your options to a preferred shortlist. For example, you may want to work with an EMS partner that is within reasonable travel distance of your head office. Perhaps having a partner with both UK and European manufacturing facilities is important to your business? Or you may have a product with a lot of electro-mechanical moving parts. Whilst there are many EMS partners that can deal with static products i.e. printed circuit board assemblies (PCBAs), fewer are able to supply, fit and manage the complexities associated with electro-mechanical builds. Keeping your objectives in mind will help you sift through the potential pool of suppliers available to you, and define further the criteria that are important to your business. Throughout your research, you should also give consideration to your Terms and Conditions (T&Cs.) Later on in the process, you will need to send out T&Cs to your final shortlist, and if you are thinking of running a Service Level Agreement (SLA) with your new supplier, it is best to start working on this now in background whilst the criteria for potential suppliers is fresh in your mind. Once you have shortlisted your suppliers to three or four potential candidates, it is good practice to send them a pre-qualifying questionnaire. The questionnaire should be short and to the point – probably no more than two pages long - and should include an overview of your company and information on the type of product you are seeking to outsource. The purpose of sending out the questionnaire is to determine quickly whether there is a potential fit between your company and the EMS provider. Through your initial research you’ve already determined that there might be a match; now you’re looking for further evidence. Pay close attention to the answers that you get from your candidates and how they respond to your request. Do they seem to be genuinely interested in your business? Do you get the impression that they have the right skills and experience to work with your company? When you’re going through the questionnaire, trust in your intuition. It will become apparent as you read through the answers whether the EMS provider is being upfront about its skills and experience or putting the best gloss on its capabilities. Some OEMs like to get references from the EMS providers existing clients. Whilst these can be of use, remember the potential supplier will always select its most loyal customers for the exercise. It’s important to carry out your own research as well. Based on the answers you get back from your questionnaire, you should be able to further reduce your shortlist to two or three potential partners. The 10 critical steps you need to take in order to select the right electronics manufacturing services (EMS) provider. Once you’ve determined your shortlist we strongly recommend you arrange site visits before sending your Request for Quotation (RFQ). While a site visit is not a full site audit, it’s an opportunity to gain a crucial first impression of the company, its culture, people and capabilities. Do you think you can work with this company? Can you see yourself working with its management team? Do they pass the ‘weeds in the car park’ test? Can you visualise your product being manufactured on the site? Whilst the boardroom, sales pitch and company presentations help build up first impressions, you really need to see the part of the factory that will build your products, so you should make a point of looking around their manufacturing facility. And if they offer multiple manufacturing sites - for example one in the UK, one in Eastern Europe - it may be important to you to visit both factories. Be sure to quiz them about their capabilities as you walk around. Ideally you will want to see examples of their skills in action. Check too that the members of the team you are talking to now are empowered to make change later. If you do decide to award your business to them, you need to know they can implement your project plans straight away. In tandem with the site visit, you should also source your own references and carry out financial checks on your potential provider. The size and complexity of the RFQ document means your project team would be advised to start developing the RFQ at the very beginning of the project. From a commercial perspective you should provide the suppliers with the estimated annual usage figures for the products you require quoting, as well as indicating what quantities you would typically order product in and the frequency between each order. Any confusion with the initial sets of figures could result in inaccurate unit prices. So you’ll want to provide some kind of indicative pricing to the EMS Company, and particularly if your product contains a number of drawn items or designed registered electronic components with supported pricing. 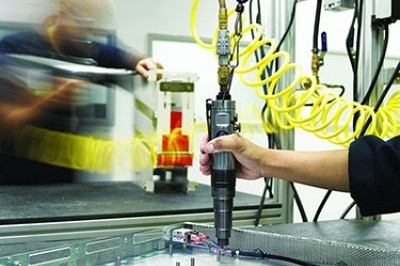 Drawn items, such as metal front panels or plastic enclosures for example, are likely to have additional tooling charges applied to them through alternative supply routes. If you have already spent time establishing a quality source of supply and paid the initial set up charges, it makes sense for the EMS Company to continue to use that supplier in the short term. You don’t need to be exact here, perhaps just give a price range to be within, but by doing so you can ensure that any obvious pricing issues are highlighted early on in the process. From a technical perspective you will be required to deliver a large amount of data to your prospective EMS partner. As a minimum they will need the Bill of Materials (BOM), drawings for parts, production build packs and manufacturing/test data. If a PCBA is required then you will also need to supply Gerber information and ideally CAD data too. Expect a good EMS partner to question you vigorously on your data – it’s in their interests (and yours) to get things right first time. In essence, you are opening up your business to a number of third party suppliers for the very first time so you may have to accept that there are omissions in the data you provide or areas that require further clarification. Whilst it’s natural to feel uneasy, you can feel reassured that your EMS partner is there to deliver the best results for you and for your customers. While your shortlisted candidates are working on answering the RFQ, you should arrange to audit their operations. Talk to the key people who will ultimately oversee the manufacture of your product including the Production or Operations Manager, Quality Manager and an Account Manager who will become your single point of contact. Ask them to explain how they will manage specific elements of your manufacturing such as planning, demand fluctuations or perhaps engineering changes. As they talk, you should be able to visualise them carrying out every step of the process seamlessly. If anything is unclear, this is your chance to ask questions. You should also arrange to carry out a quality audit of your potential partner’s processes and procedures. If there is no visible structure in place and the company struggles to demonstrate basic controls such as the management of build data throughout its organisation, then alarm bells should be ringing. If there’s a possibility that in the future you will want to make a design change to your product then you need to be confident the data and request will be managed efficiently. Perhaps your sales are seasonal or you expect a ramp up in production? If you haven’t got confidence that your potential supplier can cope with spikes in activity, maybe they need to be removed from your shortlist now? You may also want to know how your potential supplier handles power, waste and logistics. If you’re outsourcing to China, for example, power could be a major consideration as factories in China suffer power outages on a regular basis. Or it may be the case that your company prides itself on its green credentials. If environmental responsibility is core to your ethos, you will want to ask your potential supplier detailed questions about its waste disposal practices. When you’re walking around the supplier’s plant pay close attention to the employees. Ultimately, these will be the people responsible for manufacturing your product. If the workforce is rapidly ageing or about to retire, this might be a cause for concern. Likewise, if there is a high turnover of employees, you don’t want to be working with a supplier that is constantly having to train its workers in order to make your product. Ideally, you should send out T&Cs to your favoured candidates during this phase. If you are aware that your company have particularly onerous T&Cs, then the sooner you send these out the better. Once you’ve completed your site audits and received all of the information back from the RFQs, it’s time to reconvene the team to discuss the merits of each candidate before making a final decision. The design decisions you make can have a huge impact on your product’s viability through its life-cycle. 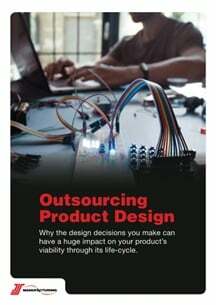 For OEMs who may be already outsourcing their procurement, build, test and distribution processes, weighing up whether to outsource product design could well be the next logical step. Maintaining an internal design team can offer many advantages in terms of retaining knowledge, managing cost and protecting Intellectual Property. However the involvement of an external design house, independent contractor or EMS provider may bring with it a more specialist set of skills, an enhanced understanding of the design process, and a greater familiarity in handling the unique challenges of each new project. So why might you choose to outsource your design? To whom could you potentially outsource? And what qualities should you look for if you do decide to seek out external design solutions? How important or relevant is it to your customers that your products are designed in-house? 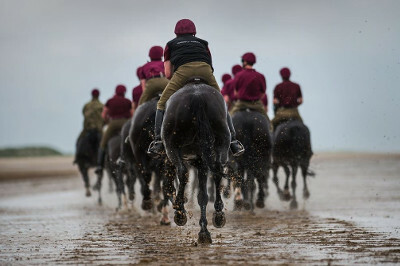 How risk averse are you as a business? Are you willing to carry the cost of maintaining a permanent design team? Are you looking for new ideas or are you planning to maintain or evolve an existing range? Managing your own team of designers enables you to build, fine-tune and retain specialist knowledge and ensures you have consistent and dedicated attention to your design projects. There may however be cost implications, the potential to overload your existing design team or the challenge of ensuring they’re productively occupied in the downtime between projects. Choosing to design your own products in-house equips you with unique, complex and specialist knowledge. No one knows your products better than you and, over time, your design department can build up an invaluable bank of expertise that is specifically applicable to your projects. It can also give you greater transparency as to how your money is allocated for each project. Keeping everything under one roof can also give you the reassurance that thorough, dedicated and consistent attention is being given to the design process. And if you’re maintaining an ongoing schedule of design activities, and you’re able to keep your design team busy and motivated, then there’s the potential to significantly save on wages and other staff costs. Manufacturers are particularly prone to damage as a result of theft of Intellectual Property (IP) through counterfeiting, copying or stolen designs so by keeping close control on your design process you can also maintain better control of your IP assets. An in-house knowledge of the design process could also be invaluable in providing your field service engineers with the knowledge to handle the maintenance, upgrading or repair of products. Conversely though, maintaining a permanent, in-house, design team means a continual overhead so you’ll need to ensure you can keep your designers productively occupied so you’ll want to consider the investment required in resources, equipment and infrastructure. Technology is constantly on the move too, so it’s wise to budget for retraining and investing in your designers to ensure they’re keeping pace with new developments. Relying solely on an in-house design team may also limit your opportunities for a new perspective. 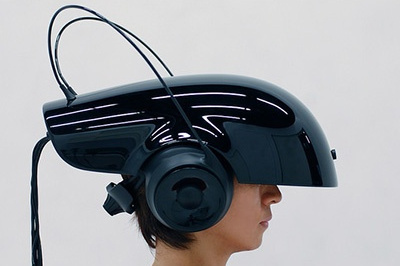 How innovative are your existing designers? Are they better suited to evolving existing products or do you want them to come up with new ideas? Outsourcing the design stage can free you up to focus on what you’re great at. You may prefer to direct your energy into developing product concepts or price points for example, and to leave the more niche aspects of product design to a specialist. Technology is fast moving, so you may find it more cost effective and time-efficient to hand over the increasingly complicated technicalities of design to a company that has the resources to keep pace. Managing design in-house means you’ll need to have all the necessary skills, infrastructure, equipment and personnel on-hand. Choosing to keep your own team of designers permanently on payroll relies on having the budget to accommodate them and of course, a steady stream of projects to keep them busy. We all have our individual strengths and a design specialist, by their very nature, will have an extensive knowledge and a more detailed understanding of the challenges of the design process. They will appreciate the unique characteristics of each design project, they’ll also have a rich array of experience to draw on and the capacity to apply lessons learned from previous projects. Finally too, how does outsourcing design fit into your current strategy? Perhaps your in-house design team is already working to capacity? Maybe you have a specific short-term goal or operational need that is best met by an external design company? Or maybe you are looking to outsource product design as part of a longer-term plan? Employing an independent contractor could be the answer if you’re after a short-term design solution as you engage the specialist help that you need, without taking on the commitment of a permanent employee. Working directly with an independent contractor may offer a greater degree of accessibility. You'll be dealing with one person directly which may be especially desirable if you prefer communicating one to one rather than with a larger design team via a project manager. If you’re manufacturing unique or niche products, then taking on an independent contractor offers an opportunity to select someone with specific and bespoke skills appropriate to your design project. On the other hand, experienced designers with the specific technical focus that you’re after, may be hard to secure when you need them, so timing will be crucial. The recruitment process can also take time, so you’ll need to plan ahead to ensure you allow sufficient lead-time to identify and recruit the right person. Bringing in a new contractor could also bring with it new management challenges. Will you need to micromanage your designer? How much support or supervision will they need day-to-day? And will you expect them to work on site or remotely? Introducing an unfamiliar contractor can carry with it an element of risk, so you’ll want to conduct interviews, request testimonials and see portfolios of previous projects to ensure you’re making the right strategic decision. An EMS provider is ideally placed to understand the relationship between design and manufacture. And if they’re your existing EMS partner then they’ll already understand your business and your products and will be invested in maintaining the relationship. Outsourcing to your existing EMS partner keeps things simple. You have design and manufacture under one roof, and with that, the advantage and convenience of being able to liaise with a single supplier throughout the process. Your EMS provider understands the intricacies and challenges of the manufacturing process so you have the reassurance of knowing that the products they design are both practical in nature and suitable for manufacture. An important consideration though if you’re contemplating outsourcing design to an EMS, is the ownership of IP. If your designer is also your manufacturer then who ultimately owns what? And are there any hidden caveats? Design and manufacture are also two separate and specialised skills so a key question for your EMS will be, is design really their thing? And more specifically, do they actually do it themselves or are they simply subcontracting this element? Future proofing could be another criteria. Will your EMS provider design to suit your specifications or are they designing to suit their own manufacturing process? And, should you decide to move to a new EMS partner at a later stage, how easy will it be to transfer the design to a different manufacturer if you need to? Finally too, combining design and manufacture could create a potentially greyer cost model so it’s important you have clarity about how exactly your money is being spent and where. How will your EMS separate design from Non Recurring Engineering (NRE) costs? And are there additional upfront charges you need to be aware of? Working with a design house offers the benefit of a dedicated and focused team who can handle the unique requirements of your project and provide the correct technical information to your EMS partner. A team of designers can pool their resources to come up with new ideas that you may not be able to generate in-house. 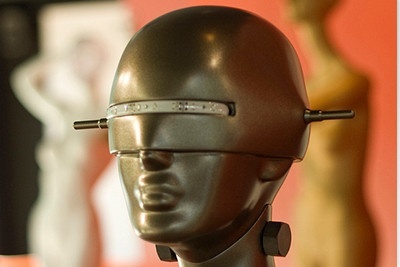 Perhaps you’re looking to evolve an existing product and would like a fresh pair of eyes? Or you may be looking for a completely new concept. Engaging a design house will also remove the need to recruit and manage your own design engineers. You pay for the services you receive, with no ongoing payroll and without the need to invest in infrastructure, equipment or personnel. While you’ll have the benefit of a team of designers working for you, you’ll also have the convenience of a single project manager as your point of contact. And why reinvent the wheel if you don’t need to? A design house with a proven track record will be able to apply, learn from or borrow from the challenges and successes of previous projects across a range of industries. Taking on the services of a design house will however rely on you having a clear strategy from the outset. So the clearer you are about exactly what it is that you want, the more likely you’ll avoid wasting time, and money, on back and forth discussions. Communicating via a project manager rather directly with your design team may also mean you feel a little more detached from the design process. And if your design house is managing more than one project at a time it may be worth considering how responsive they can be when you need them. Equally too, having access to your design house’s internal resources, networks, infrastructure and expertise comes at a cost, so you’ll want to ensure you have a clear sense of what you’re paying for and where the boundaries lie. 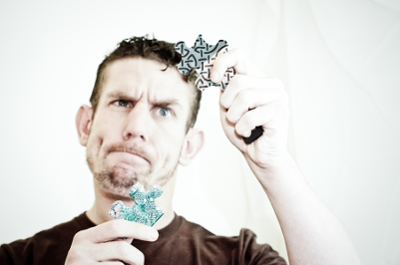 There is no right or wrong answer when it comes to outsourcing your product design. And one size certainly does not fit all. But that said, involving those responsible for manufacturing in your design process from the outset makes a great deal of sense. Design and manufacturing go hand-in-hand. If your own production team, or EMS partner struggles to build your new design on-time and to budget, your costs will spiral out of control and your customer base will be left disappointed. Worst case, you might fail to get the product to market in the first place and watch your competition eat your lunch right in front of you. And if your manufacturing team or partner have been consistently delivering good quality product but you fail to innovate and come up with fresh new ideas, well the end result is going to be similar. So, ideally you could be looking to develop a three-way relationship, in which you keep design and manufacture as two separate elements, but closely linked, with you, as the OEM, as the third point of the triangle. That way you can focus on initial concepts, price points and sales without the day-to-day hassle of trying to make the sketches come to life and then turning these into tangible products your customers want to buy. Should I involve my EMS partner in design for manufacture? If you are considering outsourcing your manufacturing to an EMS provider, you need to be confident that your supply chain will be managed effectively. With greater global competition, rising consumer expectations and increasingly complex patterns of customer demand, companies today are facing many business challenges. On top of this, they have to operate in a world marked by chronic instability. Businesses continue to be challenged by a range of both man-made and natural events - whether it be the implications of Brexit, the recent US presidential election, the devastation of the latest Hurricane or the on-going threat from North Korea - all have the potential to create volatility and put huge pressure on supply chain operations. In recent years, supply chain efficiency, excellence and transparency have become more pressing issues. Governments, consumers and companies now take a keen interest in the provenance of their goods. Increasingly, these parties are demanding assurances from suppliers that the products they produce are manufactured safely, ethically and in an environmentally sustainable manner. Fortunately, the principles behind good supply chain management apply across industries, and if properly followed, can address these challenges. When an OEM decides to outsource manufacturing to a contract manufacturer it has two basic choices. It can either transfer management of its existing supply base to the assembly partner or allow them to choose suppliers of their own choice. Most EMS providers are happy to work both ways. After testing the first option, OEMs often end up allowing the contract manufacturer to choose its own suppliers. After all, from a cost perspective it doesn’t make sense for the OEM to maintain its own procurement team alongside its assembly partner’s operation. And if an EMS has proven its reliability, the OEM is much more likely to entrust it with greater responsibility. In any case, it is relatively easy for an OEM to determine whether an EMS has a reliable supplier base. Reputable assembly partners have long standing relationships with their suppliers. They also tend to choose suppliers that have an intimate understanding of the market; are capable of producing a wide range of products; and can cope with peaks and troughs in demand. Most contract manufacturers will have processes in place to check the capabilities of prospective suppliers. Methods may vary, but the most common processes will range from potential suppliers completing commercial and quality questionnaires to a detailed validation of quality standards through a formal audit visit. Of course, best practice should show an understanding of the supplier base. Potential suppliers must illustrate that they understand the right combination of methods appropriate to the end product and the components being bought. Confidence in the supplier management capabilities will be helped if there is evidence that the EMS provider measures its suppliers’ performance on a regular basis. Suppliers should be monitored using objective measures related to quality, delivery, cost, and other factors, and action plans should be put in place to improve performance. Understanding how your EMS might buy your components is a useful exercise in judging their buying efficiency. Some will create new component part identities for each customer or product, which can result in the same physical component being bought under different part numbers. Often it is impossible to tell whether the same part has been bought more than once. This method of segmenting customers’ parts can be very inefficient, as parts may not be bought from the same supplier; there may be different prices; and even varying quality levels. A more effective method is a commodity type approach that considers, and then groups, all parts of a similar nature, regardless of the customer or the product. A significant number of EMS providers now employ buyers with commodity specialist skills that focus on particular commodities. So for example, they may have a single person purchasing sheet metal for all of their clients which enables development of deep expertise in the commodity; the ability to apply purchasing economies of scale; and an understanding of the market which means they can anticipate, and deal with, fluctuations in price and availability. Having an expert buyer on board can also make a difference to purchasing specialist parts. For example, an OEM may request a particular type of fastener. The specialist buyer is likely to quickly identify a number of potential suppliers and draw up a shortlist. The buyer may also be aware of alternatives that offer better cost and improved performance, but this may not always possible if purchasing decisions are made on a project or customer basis with generalist buyers. Once a product has been outsourced, an OEM will have very little hands on involvement. So it is vitally important that the OEM be assured that their EMS partner has the right supply chain in place for its product. Whether the EMS provider is supplying the OEM on a ‘just in time’ basis from stock or with a longer lead time will depend upon the supply chain model agreed by both parties. Once a service level to the OEM has been set, the efficiency of the supply chain should be examined. The effectiveness and efficiency of this arrangement will be influenced by the speed and accuracy of demand and information signals flowing down the supply chain from the OEM to the EMS provider and then onto their suppliers. It will also be impacted by the speed and efficiency with which materials flow up the supply chain back to the end customer. Buyers also need accurate forecasting information to do their jobs effectively. Most EMS providers use some form of Materials Requirement Planning (MRP) system to break down the customers’ orders and forecasts into a requirements schedule. The accuracy of the forecast can be vital in helping the contract manufacturer to ensure it is able to meet the customer’s demand, and in providing a reliable forecast will ensure they can build flexibility with confidence into the manufacturing build schedule. Standard assignments involving long term forecasts are much easier to manage. For the process to work effectively the OEM needs to be clear on its timelines. However, this information may not always be forthcoming. If a client wants a product produced at short notice and components with long lead times are involved, it is good practice for the EMS company to have either finished or component stock that it can pull on. The service level agreement between the OEM and their assembly partner will largely determine the finished goods stocking policy. To calculate this policy, many contract manufacturers use a supply chain ratio called the P:D ratio (Production Cycle: Demand Requirement) which allows for comparison between the demand or market lead time expectation for a particular product and the production lead time (including component material lead times). So, if the OEM requires a lead time from its EMS partner that is less than the production lead time, then stock with material underwriting within the supply chain will probably be required. If the ratio is reversed, where the demand lead time is higher than the production lead time, then it is possible to supply without stocks being held in the supply chain. Many OEMs will be wary of committing to stock upfront given the capital expenditure involved. But a knowledgeable outsourcing partner will understand the critical parts, in terms of long lead times, and work with the customer to ensure component stock is available at the right time. By investing in these components, the EMS provider will be able to meet its targets and reduce the OEM’s stock liability at the same time. The best contract manufacturers apply intelligent stock profiling systems or methods to make these calculations. Customer forecasts, lead times, market intelligence data are typical of the data that is considered in the stock holding calculation. The figure will then be used by them to determine inventory and ordering policies. The inventory policy covers the amount of stock that the EMS provider is prepared to hold on site on behalf of all of its clients. This feeds directly into the ordering policy. If the EMS provider is smart, it will order high value parts frequently, scheduled to arrive just in time to fulfil firm orders, so that it can avoid holding too much inventory. Conversely, it will order low value parts – like fasteners – on a much less frequent basis. It is good practice to continuously monitor inventory and ordering policies. Sometimes assembly providers will adopt sophisticated statistical approaches to improve their policies. For example, where requirements are not consistent, standard deviation of demand might help to spot trends. This can help customers improve data knowledge and supply chain operations and reduce their liability. To help ensure that schedules and performance from suppliers are met, most EMS providers will have some form of contract in place. A simple but effective supply contract would include, at a minimum, agreement on pricing, lead times, batch quantities and any stock commitments. Every contract manufacturer will have a chosen mechanism for sharing information electronically with suppliers. 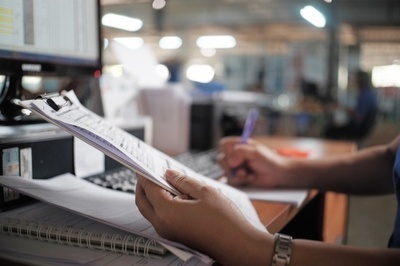 It is becoming increasingly common for EMS providers to utilise Electronic Procurement processes to request quotes, place orders and even manage invoices with suppliers. A complete electronic interface, from the customer through the EMS to the initial supplier, means the information flow can be quick and accurate. The reasons for the increasing use of E Procurement tools are simple – they cut out unnecessary administration, reduce errors and speed up processing. It is now possible for an EMS provider to receive a forecast from a customer; raise a purchase order with a supplier; send the purchase order; and receive confirmation of the order in 24 hours using E-RFQ. In the past, these processes would have required a considerable amount of administration and would have taken several days to complete – eating into the originally quoted lead time. Reputable outsourcing partners will do everything in their power to keep customers abreast of the latest industry regulation. As well as regular changes to existing legislation new rules and regulations are often not far away. EMS providers should be cognisant of current and proposed legislation, for example conflict minerals legislation. As of 1 January 2021, for example, a new law will apply across the EU - the Conflict Minerals Regulation - that aims to stem the trade in tin, tantalum, tungsten and gold. The new regulations will affect any business that imports minerals or metals, that smelts or refines them or that owns a due diligence scheme. A good EMS provider will keep track of regulations on an ongoing basis and put processes in place to take action if needed. It will look through the OEM’s bill of materials before production to ensure that all of the parts are compliant with the latest regulations and give guidance if any items need to be modified or replaced. And if a regulatory change is about to be enacted, it will take measures to ensure that production continues unimpeded and the customer is kept well informed. There is growing pressure for companies to comply with ethical trading initiatives and to show a proactive approach to improving their impact on the environment. So it is important that your EMS provider has policies that mirror your needs and that they are able to demonstrate an awareness and commitment that will not undermine your own policy. Apart from monitoring industry regulations, you should expect your assembly partner’s procurement team to keep you informed and updated on significant changes to relevant currency and commodity prices. For the production of electrical or electronic equipment, your EMS provider should pay particular attention to the price of copper, nickel, steel and tantalum. They should always push their suppliers to reduce prices if a commodity comes down in price. But if the price of the commodity increases, they should take active steps to insulate its customers from the worst effects. Manufacturers of components have an obligation to announce to their customers updates on parts they plan to withdraw from circulation. 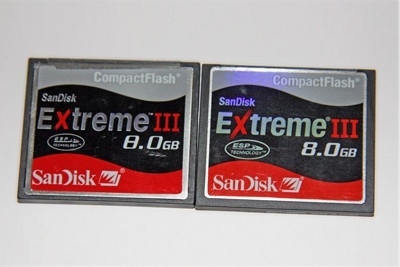 A reputable EMS partner will inform its client immediately if a part is about to go obsolete and it will recommend alternatives and provide supporting literature to back up its suggestions. At the same time, it may, if required, obtain samples of alternative products from manufacturers to see if they perform according to expectations. If your EMS provider is doing its job correctly, it will take precautions to ensure that production continues unimpeded. It may encourage its customers to speed up the last time buy so that orders arrive in the factory way in advance of the part becoming obsolete. Whatever action your EMS partner decides to take, it will have one objective in mind – to cause minimum disruption to the OEM. It should also be looking out for opportunities to make cost reductions. It might notice that a part is available at a lower price from another supplier and suggest to the OEM, subject to their approval, that a switch in supply is made. Or it may come up with an agreed package of cost cutting measures with the OEM and look for ways in which those targets can be realised. 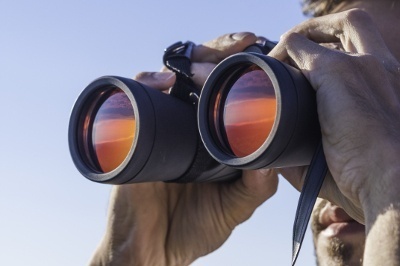 Lastly, reputable EMS providers will keep a close watch on the financial health of their suppliers, watching out for any change of ownership or business conditions. If there is any indication that there is a business change at the supplier’s end, a sensible outsourcing provider will have a contingency plan to reduce any risk to the supply chain. Turning a new product design into reality is an exciting prospect. It’s also an incredibly complex process that requires care, attention, and control at every stage. Get it right and you stand to gain valuable market share. But fail to launch your product in time, or on budget, and it could be game over. 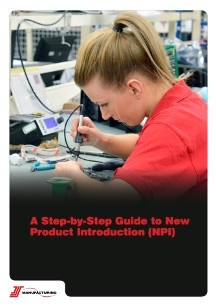 As an OEM, it’s crucial to verify your EMS provider’s New Product Introduction (NPI) process during the supplier selection stage. Each assembly partner will have a different approach to how they manage new products in their manufacturing environment so it’s crucial you understand exactly how your EMS partner manages theirs. But just what exactly is a ‘new’ product? In simple terms, a ‘new’ product is anything that the EMS partner hasn’t built before. It might be a brand new product which is in the prototype stages. It could also be an up-issue to an existing design that they’ve been building for months. Or it could relate to a product that has been previously outsourced and has recently been transferred to a new assembly partner. Any product or variant of product that is being built for the very first time should be put through an NPI process to ensure that future production volumes can be built efficiently. Your EMS partner’s assembly equipment, staff, build documents and internal procedures will be unique to them, so the NPI process ensures that your product design and their internal assembly processes are suited before there is any thought of producing in higher volumes. A huge amount of preparation work should also take place behind the scenes before the very first electronic component is soldered to a board. For example, your EMS partner will have already quoted the product, loaded the Bill of Materials (BoM) onto their system and acknowledged the order. They will also have procured all of the materials, taken delivery, inspected them and assigned them to a unique works order. Their engineering team will have checked the PCB panelisation, they will have created the necessary programmes for the pick and place and Automated Optical Inspection (AOI) machines and they will have put together bespoke build packs for the production teams to work against. Let’s now explore the four key elements of the NPI process. Depending on the complexity of the design, or your unique outsourcing strategy, a product could pass through each of these sections in turn, or it could skip a step or two. Comprising Solder Paste Printing, Component Placement, Solder Reflow and Automated Optical Inspection (AOI). Solder paste printing - This is the most common method of applying solder paste to a PCB, often using a stencil which has been laser cut in stainless steel or nickel. The volume of solder applied is controlled by the stencil thickness and aperture (hole cut in the stencil) size which corresponds to a pad on the PCB. A key factor the EMS partner will need to consider is paste release to ensure the solder paste adheres to the PCB and not the stencil. The type of solder paste used, the solder sphere size and the solder alloy used also have a crucial impact on print quality. Once your assembly partner has designed the stencil, they should then consider the machine settings. It is important to fully support the PCB during printing either through automated tooling pins or a dedicated support plate. The flatter the PCB during the printing process the better the results will be. Other contributing factors can include speed and pressure of the squeegees. Program - typically an XY placement program that instructs the machine which component goes where on the board and enabling the setting of definitions such as shape, size, value, number of leads etc. Placement - the process of populating the PCB which involves the machine picking a component from a feeder via a vacuum nozzle. Solder reflow - Once the PCB has been populated the next step is to reflow the solder. The program for the reflow oven is referred to as a profile which commonly takes the form of a list of temperature settings. When an assembly partner receives a PCB to profile for the first time they may start with a base profile that has been developed over time to cover most PCB assemblies. They may then attach thermocouples to certain components on the PCB which travels through the reflow oven whilst the temperatures are recorded via a data logger. Using the data displayed they can adjust the oven parameters (temperature and belt speed for example) to achieve the desired profile. The profile should be determined from the solder paste data sheet but also needs to take into consideration any special component requirements. Automated Optical Inspection (AOI) - This is the stage where your EMS partner will check for any assembly errors such as component absence, polarity, misalignment, insufficient solder, solder bridging, etc. Any non-complying defects identified are then presented to an AOI Inspector who will determine if a true defect has occurred. All fault data should be constantly reviewed and analysed to help identify trends and allow process improvements to be made, reducing future rework and increasing production efficiency. Hand Solder - using an iron, solder, soldering wick, and sometimes flux to attach surface mount components to a circuit board. Hand solder operators need excellent component knowledge, hand soldering skills and an in-depth understanding of the buildpacks they use. Wave Solder - a large-scale soldering process where the circuit board is passed over a bath of molten solder and in which a pump produces an upwelling of solder that looks like a standing wave. Inspection - the process of inspecting a PCBA after a build, through a visual check and/or magnification to verify that the board has been assembled correctly, that components have been correctly mounted and oriented, good solder fillets and joints are evident and that any special instructions have been completed. The final assembly stage of the NPI process can mean different things to different people, but commonly encompasses what are known in the marketplace as box builds, cabinet assemblies, panel wiring and electro-mechanical assemblies. A pivotal contributor to the success of final assembly is the quality of the information that an OEM supplies to its assembly partner, including supplying complete drawings, wiring schedules, schematics and BoMs that cover material items such as consumables, cable, hardware and idents. With the right information supplied from the start, your EMS partner can then ensure they have the correct parts in stock and that they have the appropriate tooling ready for the build. The ability to read schematics is a must for your EMS provider in enabling them to interpreting what’s required, even if there are gaps in your data. Drawing control is also very important as it ensures they will manufacture the correct item and revision. Of course designs change over time and products get up-issued - which makes it even more important that when drawings are updated they are revision controlled and logged in an internal system for future use. Inspection - Assuming the product design is correct, if you assemble the right parts in the right place then the product will work. So in production, a lot of focus needs to be on detecting manufacturing defects – what is known as Manufacturing Defects Analysis (MDA). AOI and X-ray is essential for electronic assemblies, enabling the EMS provider to check that the right component is correctly soldered in the right place. There are of course some limitations; for example unmarked components. Repeatable, reliable inspection is essential for process control as it allows any faults to be found early in the process, which reduces rework. It has also been shown that minimising rework leads to much greater reliability once the product is out ‘in the field’. Test - After inspection comes test. At a basic level, In-Circuit Test and Flying Probe test are types of MDA, but they also measure the values of components. If you add in boundary scan, it can also quickly check for the correct connection between large digital devices. On electrical assemblies of course, electrical safety testing is essential as this helps ensure the integrity of the assembly. The final stage might be to functionally test the assembly to make sure it behaves as it should once sold. This particular test actually adds very little value to the production process, as it is too late and often too complicated to fault find or to provide good process feedback, but it does provide a little additional ‘comfort factor’ that the product will work once sold. Some customers find this is worth the additional expense particularly if there is any instability in the product design. Deciding to outsource responsibility for your entire assembly operation to an EMS partner relies on having a comprehensive plan in place. And much will depend on how much of your shop floor you intend to transfer. Outsourcing PCBA assembly, for example, is a well proven approach and may seem like a low risk strategy. However, even this can introduce complexities, which, if not planned for, can catch you out. In some respects, the transfer of physical resources can be simplified by choosing to outsource your entire manufacturing operation as you draw a clear divide between the OEM and the EMS, with your assembly partner taking full responsibility for all elements. However, while clarity and ownership are achieved, complete outsourcing strategies require greater planning and execution. Key elements of the knowledge and expertise required to build and test each of your products often resides in the heads of your people. Knowledge is one of the most important resources you have and, while arguably one of the most difficult to transfer, it’s vital that this be implanted into the new supplier. Often too, while your assembly documentation may contain build instructions and assembly diagrams etc, the shop floor staff building the products will have evolved processes which may not necessarily have been reflected on paper. This local knowledge can be vital to achieving the required build times and product quality so it needs to be captured and incorporated into your EMS company’s manufacturing documentation. It’s possible too that your existing staff may need to be re-trained in other areas of your business. Learning new skills may feel daunting, and particularly if they have worked on a particular process or product for many years. On the other hand, some staff may welcome the change and see it as a great opportunity to develop themselves further.  If existing staff cannot be re-deployed within the business then unfortunately you may be faced with a redundancy or, in some instances, a TUPE situation as discussed in Chapter 3. 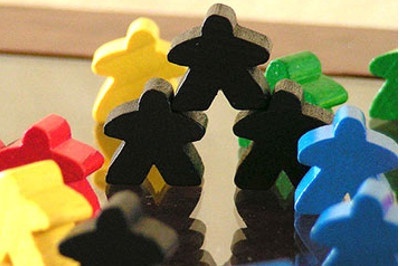 It’s therefore important that your HR team are involved from the outset. The business case for the decision should be made clear to all employees - and compassion provided to those involved in the process at every stage. When it comes to your existing plant and equipment, you’ll need to decide piece-by-piece if it makes sense to dispose of it all together, to sell it on or look to transfer it across to your EMS. If you are looking to subcontract your complete PCBA processes and your EMS already has the assembly equipment they need, then it probably makes sense for you to look to sell yours. However before you start looking to third party suppliers that trade in second hand equipment, it’s worth going back to the original manufacturer of the equipment. Quite often they are interested in taking back their own branded machinery, as it gives them the opportunity to refurbish it and then sell it back into the marketplace with associated maintenance contracts and warranty agreements. If you plan on retaining some parts of the build in-house - for example, final assembly - or are looking to phase in the supply of additional products within your range over time, then you may need to keep hold of some equipment, until the transfer is complete. One area that often catches OEMs out is bespoke test equipment, which has been calibrated and runs a specific software variant. If you are looking for the EMS company to test your product but plan to retain other products that share the same test in-house, if you only have one set of equipment, a second set will need commissioning. One of the benefits of outsourcing is the reduction in raw material stock holding. However, if not planned correctly, it can leave OEMs with a warehouse full of redundant stock. Talk through the options available to you with your EMS. Most will be happy to transfer key items, providing they have been stored in accordance with manufacturer’s guidelines, are the correct revision (including bare PCBs, programmable items) and remain cost neutral - i.e. the unit cost they pay from you is the same as the price they would pay new through the supply chain. There may be some items though (such as fasteners or generic resistors/capacitors) - that are simply not worth transferring over and are better off being disposed of early on. Some OEMs get caught out by their existing supply chain tail. Long-term forecasts and scheduled orders, along with buffer stock agreements, all need managing, to avoid future deliveries turning up long after production has been transferred across. While your EMS will be happy to review your supply agreements at the start of the project, they may not be as keen to do so once their own supply chain has been established. If your expectations are that your EMS will take over your supply chain completely, we recommend drawing up a deed of novation. This will document the terms of transferring your contractual obligations so that all three parties - you, your outsourcing partner and the material supplier - are aligned when it comes to new commitments and responsibilities. To help ensure the physical elements of your assembly line are transferred appropriately it is suggested they are built into your project plan; with clear owners and timescales assigned. Once all areas are included you will find that some can happen straight away while others will be dependent on a number of previous actions taking place. Be prepared for your project plan to evolve – it’s only natural that it will. However, the most important thing is you have one. Those responsible for completing specific actions also need to make sure they have the resources they need in place, with any potential gaps discussed and resolved. This should be done well in advance of any manufacturing moving over to the new EMS partner. Box build is probably the most misunderstood term in electronics manufacturing, covering everything from putting a PCBA in a simple enclosure and connecting it to a user interface and display, to producing a complete machine with tens of thousands of parts and hundreds of sub assemblies. The potential issues your EMS partner may come up against will vary, depending on the complexity of your product. When it comes to sourcing an enclosure for example, there are essentially two options - an off-the-shelf version or something more bespoke. If your assembly partner goes down the first route, there are plenty of vendors to choose from, with generic enclosures available in a wide variety of materials and finishes. Off-the-shelf enclosures can also offer the advantage of lower unit price, reduced minimum order quantities and increased availability. A ready-made enclosure however won’t have been designed for your specific purposes. So it’s crucial to choose a model into which your PCB or PCBs can fit securely and to ensure that any additional electronics (displays, connecting cables, fans, LEDs, etc.) won’t become trapped when the front and back halves are joined. Another factor to consider is whether the design will allow you to carry out routine maintenance. The last thing you want is for a product to be rendered obsolete because it’s too difficult to carry out service repairs, for example. As a result, the assembled box build should be tested out in the field to ensure it can withstand ‘real world’ conditions that it will be placed under during its lifetime. Choosing to use a bespoke enclosure means many of the issues outlined above will not be relevant, as it will have been designed to meet your specific needs. Your PCB or PCBs will slot easily into place, and there will be sufficient space for other internals, to avoid items becoming crushed or putting pressure on one another. Similarly, the enclosure will have been created with the right attributes for the environment into which it will be placed. However, there are still a number of potential problems. For one, a bespoke enclosure is likely to be expensive, often requiring several thousands of pounds in upfront tooling. And, once you have ordered one from a supplier, you need to be able to ensure that it will continue to be available so that you can ensure your customers get high-quality products within their specified timeframes. Designing a box build with procurement in mind will help ensure that the components you require remain available throughout the lifetime of your product. It’s also vital to create a complete set of drawings for the enclosure, with acceptable tolerance levels and clear guidelines when it comes to quality standards, to avoid ambiguity at the goods receipt and build stage. Poor documentation and lack of data control could cause delays in manufacturing your box build and result in an incorrect or inferior product. So while it’s easy to let paperwork fall to the wayside, it should remain a priority. BoMs, CAD drawings, Gerber files, software and any other key pieces of data need to be revision controlled and managed correctly. Any amendments that do take place during the build should be controlled through a stringent engineering change note (ECN) process. Any drawn items, such as bespoke labels, enclosures or metalwork, should have tolerances and finishes clearly specified. Leaving these things open to interpretation can cause problems with assembly or quality control later. It’s far easier to identify problems with a clear trail to look back on – and it will save valuable time and money in the process. Cabinet builds can vary from single or multiple panel rack systems, through to full custom cabinet suites filled with electrical items, including cables, wiring looms and circuit breakers etc. And unlike other types of assembly, where a defined parts list and, in many cases, an automated procedure already exists, cabinet builds require a higher level of interpretation when it comes to the material required. There’s also the choice of whether to design a cabinet from scratch or to select an off-the-shelf version from an established enclosure supplier. Unlike smaller, more portable electronic box build products, the overall look and feel of large cabinet assemblies tends to be less important to the end user. So an off-the-shelf cabinet can offer its advantages, due to the range of sizes, shapes and colours that are readily available. However, the challenges at this stage remain the same - bespoke cabinets require detailed drawings that clearly outline the dimensions, hole sizes and shapes, tolerances, paint specifications and finish etc. Cabinet building is a predominantly manual process and therefore relies on a skilled and agile workforce to support demand. From a material perspective the constituent parts - items like relays, breakers, fans, air conditioning units, HMIs, power supplies, DIN rails, meters, fuses etc - should be listed on the BoM, alongside other materials such as cable, wire, conduit, trunking, hardware (nuts, bolts, washers etc,) crimp terminations and cable idents. Cabinet builds which are bespoke and configured for a particular plant or installation site, will affect the hardware and consumables needed during build. To help improve efficiency, many of these items will be kept line side and replenished through Kanban systems which allows the operator direct access rather than having the materials picked and presented to them in kit format. However, this approach relies on having the right materials at the right time, in the right quantities. 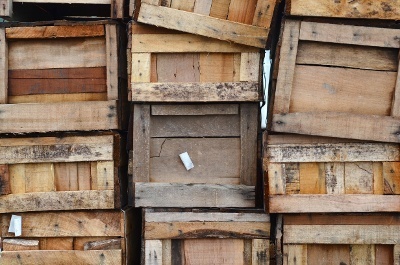 While a large proportion of these items will be low value, often just penny parts, they can impact an OEM’s ability to ship several thousand pounds worth of goods, so when it comes to outsourcing the assembly process, your EMS partner should invest time in creating clearly defined build packs to ensure they can consistently deliver on your behalf. The experience of any wireman can only go so far and without basic drawings, schematics, wiring schedules or 3D CAD models they are forced to work “blind”. While some end users may not worry about how cables or wires are physically routed they will complain if they are wired incorrectly or key configuration parts are missing. To support larger cabinet builds your EMS partner will also need to invest in specialist lifting equipment, such as hand crank lifts or hydraulic benches, which help raise and lower the cabinet. And depending on the physical size and weight of the product, additional equipment, such as pump or forklift trucks, can also be required to move the units around the shop floor and onto delivery vehicles. Electro-mechanical assemblies demand high levels of skill, precision, accuracy and consistency - often comprising a complex combination of PCBAs and many hundreds of individual parts, such as gears, pulleys, bearings, fasteners, back plates, slides and rollers. Items that contain moving parts are always more complicated to manufacture and it is vital that these operate at high and low tolerances and can work alongside the stationary parts in the product. The supply chain is critical to a complex electro-mechanical assembly, so it’s crucial that your EMS partner has access to purchasing teams who can manage a broad range of commodities. The electronic component supply chain, underpinned by franchised distributors with access to global manufacturers, is very different to precision engineering specialists producing low volume machined parts to customer drawings. So a supplier’s ability to adhere to quality standards, while keeping up with demand through seasonal peaks and troughs, will require close management by your assembly partner. Each drawn item will have its own manufacturing tolerance. For example a roller may not spin freely when attached to a back plate, two gears may struggle to engage, or the wire and cabling inside an energy chain may begin to get trapped. Often these issues won’t be found until the physical build takes place, which means that your assembly partner’s engineering team may need to carry out additional, unplanned work on the shop floor to resolve the problem. Organising their purchasing team into clear commodity groups which ensures each individual develops deep expertise in their area, that they acquire knowledge of the market and that they can understand, anticipate and deal with fluctuations in price and availability. Having an inspection room equipped with height and surface measuring instruments, digital caliper and mechanical micrometers and high magnification microscopes. The use of 3D CAD modelling packages, that reduce the time taken to design a product and that improve quality and delivery during the build process. Many software packages simulate "real world" scenarios, which bring the design to life and can help the EMS providers engineering teams to identify if there will be tolerance issues during the electro-mechanical build. Implementing a robust test strategy - this is especially important when it comes to electro-mechanical assembly as the addition of moving parts introduces an extra layer of complexity. Testing is part of life. At the end of our school years, we sit exams to prove the knowledge and skills we have accumulated. Our cars undergo an MOT test each year. Businesses are assessed to see whether they meet industry safety and quality standards. 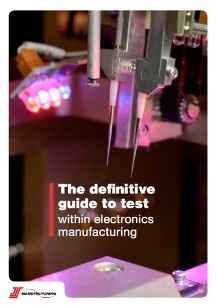 And, when it comes to manufacturing, testing is just as crucial. Testing is an integral part of the manufacturing process to ensure defects are identified and resolved before a product reaches its intended customer. It’s also the only way to achieve optimal processes that result in products that have as close to a 0% failure rate as possible. And despite common misconception, test is not postscript to the manufacturing process but something that should be carried out at various stages throughout the process flow. Finding a fault in a product before it has been manufactured to its full value, and either rectifying or scrapping it, is a lot more effective than testing the finished goods, only to discover a problem and then rejecting them. So for your EMS provider, testing should be at the heart of everything they do. In this section we explore seven different types of test. ICT is a highly accurate form of automated test equipment (ATE.) It is used to test PCBAs by carrying out a “manufacturing defects analysis” (MDA) which looks for common process faults such as open circuits (e.g. something not soldered), short circuits, passive component measurements (resistors and capacitors), diode and transistor orientation, and basic supply voltage measurements. Integrated circuits (ICs) can have some powered, even basic functional testing, as well as “vectorless” test to check the soldering of pins to the PCB through a non-contact, usually capacitive, probe or plate. ICT can also provide limited analogue and digital measurements. Flying probe is another type of ATE used in electronic PCB assembly to carry out MDA. Most flying probe systems also offer limited optical inspection, which can add coverage for those components that can’t be accessed electrically. The test method typically uses four probes, which can be programmed and reprogrammed for each board design. Flying probe is best suited to lower volumes where the design may change a number of times throughout the lifetime of the product, or for boards where test pads have not been designed in. As with ICT, a BoM, CAD data and schematics are required, as well as populated and unpopulated sample PCBs. Flying probe machines can also probe the ends of component pads and uncovered vias (as long as they are not “tented”) to get access to the electrical networks. Boundary scan testing is used for checking that digital devices on a PCB are connected. It uses test logic that has already been built into the digital ICs on the board, thereby removing the need for physical test probes and equipping manufacturers to debug and program complex digital circuits. The standardised specification for this method was devised by the Joint Test Action Group (JTAG), and it is ideal for testing a single PCB, or multiple PCBs. Boundary scan can be used in tandem with ICT or flying probe, but on a board with multiple ICs, it is more likely to be used as a standalone test method. Implementing this method requires a tailored software program. Soak testing is used to find out how a product “survives” in the wild, by simulating the real-life conditions under which a product will be placed. During a product’s lifecycle, many problems tend to strike either very early on, or towards the end of the product’s life. Therefore, soak testing helps to ward off the first potential batch of problems. It also identifies faulty components that may have passed an earlier test - ICT, for example - but falter under continuous testing. HALT testing is designed to literally test a product to its breaking point. 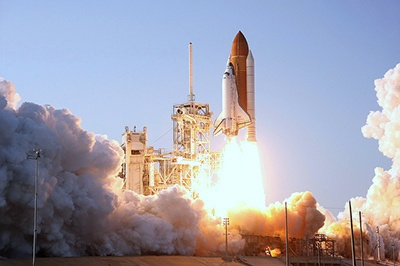 In industries such as defence and aerospace engineering, where high reliability is absolutely crucial, it’s important to know exactly what conditions a product can stand. HALT helps to identify the weakest points of a product so that improvements can be made. A product may go through several rounds of HALT, depending on how robust it needs to be. HASS testing is comparable to an intensive soak test. For example, a product might be subject to the stresses endured during years of normal conditions in just a few minutes. However, a product should survive HASS testing without any damage. 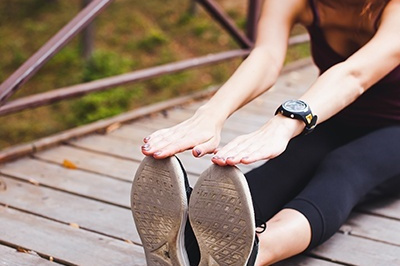 A functional test essentially proves that a product does what it is supposed to do. However, unlike the test methods covered so far, this one is predominantly focused on the design of a product rather than the manufacturing quality. As this test often comes at the very end of the manufacturing and test process, the next person to power the product up is usually the customer. It is surprising how much can be wrong at a component level and still pass a functional test: floating pins on ICs, missing and wrong value components, etc. can all go undetected. As a result, a functional test can provide false confidence unless those potential errors have been covered elsewhere. A functional test is also often quite slow, and debug can be difficult, requiring more time and a higher skill level to determine the cause if the product malfunctions. Functional test, therefore, is generally best reserved for a quick “final assembly” check once the thoroughly tested subassemblies are put together. If the pass rate is not virtually 100%, then the test strategy (or perhaps the product design) should be reviewed. Electrical safety testing is essential for any product that uses electricity. The simplest form of electrical safety testing is portable appliance testing (PAT). A product is connected to PAT equipment, which checks whether it is safe to use and that the relevant electrical components are insulated. For higher voltage products, a flash test should be implemented. This test method checks whether the electrical insulators in the product have enough dielectric strength for the working voltage. A higher than normal voltage is applied to the product and, to pass, it should be able to withstand this stress. Earth bond testing measures the resistance between the ground and any metal components on the product. A high current of around 25 amps is passed through, to ensure there is sufficient electrical insulation. A good assembly partner will carry out electrical safety testing as a matter of course. Nevertheless, you should at least specify basic electrical safety testing - e.g. earth bond and flash tests - when briefing your EMS provider. Electronic PCB assembly testing: In-Circuit Test or Flying Probe? Shipping your products to their end destination is the final stage in your manufacturing process - and one which is essential to the ongoing success of your entire manufacturing operation. First impressions count. If products arrive late, in the wrong quantities or configuration, to the wrong people, or if they are damaged, then this stands to undermine the overall success of your manufacturing process. Your end users won’t appreciate the time, complexity and costs involved; they only care about getting their products on time and to the specification they ordered. 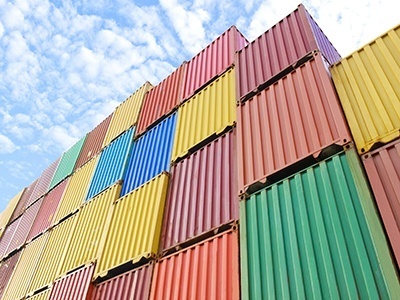 What’s more, implementing good shipping practices could help you to tap into new markets, increase your company’s scalability and efficiency, and open up new doors. So you want to get your shipping right – every time. 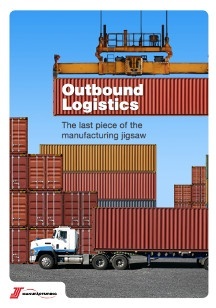 Why outsource your outbound logistics? In its simplest form, outbound logistics relates to the storage, transportation and distribution of your products. However it can encompass a broad range of processes - from order processing, picking, configuring to order, packing, marshalling and transportation, through to the shipping of spare parts. Typically, your EMS provider will supply product to you on a call-off basis, as and when you need it, or against a firm delivery schedule. And, unless you have specified something different, your EMS supplier will arrange the transportation using their own branded packaging. Of course one of the advantages of having your EMS provider deliver product to you is you get to see what you have ordered. You can inspect it, configure it and then send it out, safe in the knowledge that it left you in perfect working order. For some OEMs, this level of control and reassurance is very important - particularly if there have been issues with product quality or late deliveries in the past. But this approach can be more expensive in the long run, as you will need to retain the layer of overheads associated with receiving, storing, picking, packing and then dispatching the goods to the end customer. It’s also likely that the product could be handled multiple times, increasing the risk of damage. And, unless it has been shipped from the EMS provider in your own branded packaging, you’re going to need to repackage it again yourself. If you are carrying out other processes – such as configuration and testing – after your product has been shipped to you, then you are potentially increasing the time for it to reach your customer. Most low volume, high complexity (LVHC) products will require some degree of configuration, and this can be achieved more quickly when carried out during the manufacturing process, by your EMS provider. In the current market, the speed of order to fulfilment is a competitive advantage. B2C companies, such as Amazon and Argos, have created a culture of very fast delivery times, and these expectations have filtered into the B2B market as well. When considering outsourcing, there are some important questions that you should ask yourself about the future direction of your company. In thinking ahead, you can begin to work out what logistics arrangements you will require to meet changing customer demands. If you are growing, and targeting new opportunities, then you will likely be coming up against specific challenges. Perhaps you don’t have the space into which to expand? Or maybe you need to ship products from different divisions of your organisation at disparate times? Your EMS partner can help by implementing sophisticated systems and processes such as configure-to-order, late-stage configuration, postponement manufacturing, mass customisation, supply chain pipelining and agile manufacturing. Mass customisation, late-stage configuration and postponement manufacturing effectively refer to the same approach. The use of flexible manufacturing systems enables the unit cost savings of producing in volume to be combined with the flexibility of individual product customisation. In practice, mass customisation is where configuration is not carried out until the latest possible stage. Typically, an OEM will have already received orders for their products and, therefore, they will know the relevant customer details, product requirements, the exact configurations, the options to be fitted, etc. and the delivery destinations. To achieve all of this consistently and on budget, your EMS provider will need to have created an agile manufacturing environment, with robust systems and procedures to support their highly trained people. Automated material requirements planning (MRP) systems linked directly to customer forecasts. Material purchase orders sent and acknowledged in “real time” via electronic data interchange (EDI). 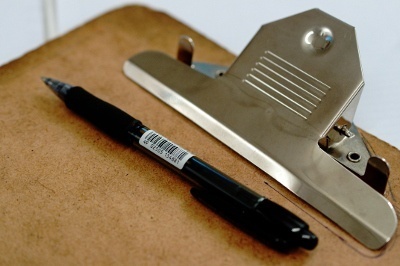 NPI procedures with feedback reports that document every stage of that product’s journey. Sophisticated document control systems capable of managing multiple revisions of build data and engineering change notes (ECNs). These procedures, plus others, enable the best EMS providers to respond quickly to changes in customer needs while still controlling their costs and quality. It is important to have an understanding of the customer order cycle, which is how long customers are willing to wait for the products they order, as well as considering material lead-times and manufacturing hours, to decide how agile systems need to be. With a short customer order cycle, long material lead-times and a complex product with lengthy manufacturing times, agile production is clearly required. However, without all of the material and components required to complete an assembly operation, no manufacturing facility - regardless of how slick its processes, systems and staff are - will be able to implement such an environment. So supply chain pipelining (or planning where inventory needs to be along the supply chain) is also going to be crucial in order to support a specific product. There are multiple options and selecting the right combination for each product will be critical in ensuring a flexible, agile solution. Packaging may seem like a fairly minor issue in comparison to ensuring that your products arrive on time and in full. And does it really matter if your boxes wouldn’t win a prize for their aesthetic appeal? Sure in many cases the outer packaging may seem superfluous, but it does play a vital role in connecting your customers with your product and providing that crucial first impression. Perhaps you’re intending to take care of packing your products yourself? While this can offer some level of reassurance, it can also be time-consuming and require management of numerous elements. There’s the initial cost of the base materials, which you also have to store carefully on your premises. There are recycling and environmental waste issues to manage. And by repackaging products received from your EMS supplier, you are effectively double handling and increasing the risk of damage to the finished products. Allowing your EMS partner to take care of your packaging needs could be hugely beneficial as they will work closely with you to design specialist, custom packaging that protects your products and strengthens your brand. Cost-wise too, it often makes much more financial sense for your partner to place your finished product in its final packaging than for the goods to go through several rounds of the same process. By receiving your product in its final packaging, you prevent double handling, you cut the costs associated with unpacking and repacking products, and you minimise the risk of quality issues or damage. What SLAs do you have in place with your customers when it comes to rejects or returns management? Do you offer them brand new replacement products on a next-day delivery basis or are they expected to wait while you repair the original item? How long does this process take from start to finish? And is it competitive when you compare yourselves to the rest of the market? There’s nothing worse than waiting for an item to arrive only to find that for some reason it doesn’t meet your expectations and needs sending back. And this arduous process can be made all the worse if the returns experience is overly complicated or time-consuming. Handing over responsibility for this function to your EMS partner, means no longer needing to worry about customers failing to get a repaired or replaced unit from you on time. And by relinquishing complete control of this area, there is no longer the need to hold stock of finished products or to have large quantities of spare parts just in case a customer might need them. Of course, you will still want to remain the point of contact for the end user and be responsible for providing first class customer service. And not all repair or rework requests will relate to manufacturing issues. Design faults or issues outside of the EMS provider’s sphere of control (warranty claims, accidental damage, etc.) will still be down to you to manage. So your customer service team will need to filter incoming queries to determine which problems should be addressed internally and which require support from your EMS provider. When we refer to shipping, we are not just talking about putting goods into a box and moving them from A to B - but about delivering highly configured, complex products, on a fast-turnaround, direct to the ultimate end-user. This inclusive approach means that you, as the OEM, no longer have to handle your product at any point in the value chain and can focus instead on your core capabilities of product design, marketing and selling. The start of an outsourcing partnership is an exciting time for an original equipment manufacturer (OEM) - but it’s also one filled with unknowns. What can you expect in those important early stages of your outsourcing venture - namely, the first six months?  This quick guide provides an overview of some of the most crucial areas of outsourcing, once you’ve made the decision to partner with JJS. If your outsourcing project is particularly large or complicated, there will be several other team members involved in your account, including engineering, procurement or compliance teams, but your account manager will remain your go-to person. These first 6 months may feel a little intense, but with this relationship firmly in place, you can rest assured you are in safe hands from here on. Handing over complete control of your supply chain takes away the overheads associated with procurement and materials handling as well as freeing up your time to allow you to focus on designing, marketing and selling your products. You can retain full control over your supply chain and continue to buy materials from incumbent suppliers before “free issuing” them to us for manufacturing. We would however still need to inspect, re-label (and in many cases re-package) your items to meet our own internal standards. And as we won’t have control over the supply chain, we'd rely on you to liaise frequently with us on quality and delivery performance so that we can meet the acknowledged delivery dates for your production requirements. If you are keen to retain some control, but want to avoid the costs, storage and management time associated with “free issuing”, then it is possible to nominate your preferred key suppliers (i.e. those critical to your design or those supplying high value/single components) to us. Although we would work directly with your suppliers, you would still find yourself responsible for top-level supplier management reviews. When it comes to supply chain set-up, particularly during the first six months, confidence and trust are key. In time, you will naturally acquire more of these, and like the majority of our long-term partners, will feel more comfortable in handing over full control to JJS for your entire supply chain. Our policy dictates we buy directly from manufacturers or through franchised distribution, and all electronic components we receive undergo both a cosmetic and dimensional inspection. In simple terms, we are looking to ascertain if something is what it’s meant to be - the right part, in the right quantity, and the correct revision - and that the paperwork, labels, date codes and external packaging all match our expectations. If we have to source material outside of franchise, we will always let you know in advance. We believe in full transparency and will always involve you in the decision. In addition to checking the basics (quantity delivered, paperwork, external packaging, etc. 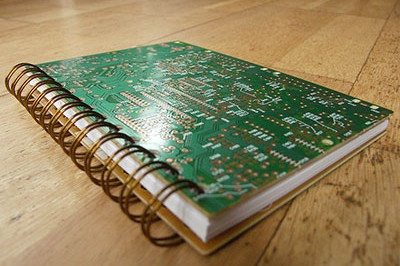 ), all made-to-print items, such as printed circuit boards, metalwork and plastics are inspected against their drawings. Our logistics team, supported when required by the engineering department, will check that the finish, material and dimensions all match those listed on the drawings. Working closely with a range of customers and suppliers, we have developed our own cosmetic specification document that we can share with you. All material that passes inspection is booked into our system, given a unique batch code label and then stored securely until it is required in the manufacturing process. In order to produce your initial quote, we will have already received some form of build pack from you, which should have included all the data pertaining to your product. At the quote stage, certain gaps in data don’t necessarily hinder our ability to respond back with a price - but when it comes to the assembly process itself, these will need to be filled. A lack of data, or incorrect data, can impact production and delivery times, so it’s important to be thorough and check that the build pack you send to us is complete and verified. Working closely with our customers we have found that a degree of “local knowledge” builds up across their shop floor staff and the build pack they have on file may not always entirely match what happens in practice. It’s wise to make sure all this valuable knowledge and experience has been captured within your current documentation before you start to hand things over. Using the NPI module within the FactoryLogix software by Aegis, we create our own comprehensive build packs, regardless of how complete your data is. This gives us confidence that we haven’t missed anything and that the information we need for our own internal processes and procedures is present and correct. 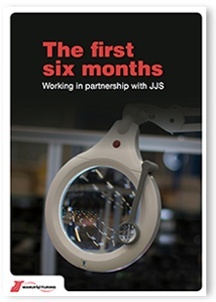 What happens during the first six months, when you choose to outsource to JJS Manufacturing? NPI is arguably, one of the most crucial elements of any outsourcing project and will demonstrate to you that JJS is capable of consistently delivering a quality product. During this time, one of our NPR engineers will oversee all stages associated with assembly, test and outbound logistics. A works order card containing all the relevant process operations will be created and will travel with each build. These steps are bar-coded and then linked back to an operator, for traceability purposes, once they're completed. We have deliberately made our works order colour code system both simple and visual. As a result, all our operators, team leaders and senior managers can easily identify which orders are running through the factory and which will require additional supervision and sign off. The earlier in the manufacturing process you find faults, the easier and less expensive they are to repair. Having a robust test strategy is a necessity if you want peace of mind that your product will work when you, or the end user, takes it out of the box. We recommend that a functional test is generally best reserved for a quick “final assembly” check - once the thoroughly tested sub-assemblies have been put together. If the pass rate is not virtually 100 per cent, then the test strategy (or perhaps the product design) needs to be reviewed. We will work with you to devise the best test strategy for your needs and when you have particularly complex testing requirements, we will find the best solution. What type of lifting equipment is required and whether there are any specific regulations to comply with - such as weight and size restrictions. Whether we're going to be responsible for additional deliverables in each shipment - such as accessories, test results, manuals, fixing kits, etc. How the end user usually receives the product - for instance, if they are supplied on a pallet, how many units do they expect to receive in a shipment and is there a particular order in which they expect them delivered? To gain the most value, it really is worth considering choosing an end-to-end manufacturing solution, whereby JJS send your tested products direct to an end user. As is the case with all elements of outsourcing, when it comes to outbound logistics, the amount of responsibility you choose to hand over to us exists on a spectrum - the further you're prepared to go, the greater the benefits. We believe formal business reviews are essential to keeping the outsourcing relationship in excellent working order. Nothing beats face-to-face communication. We typically recommend that the first review takes place soon after your first order has shipped from us. This allows us to review the order while it is still fresh in everyone’s minds, to discuss any outstanding actions and to review progress against the agreed key performance indicators (KPIs) we put in place. JJS will prepare a bespoke customer service report in advance and we'll outline the agenda for these meetings so you are well prepared. The attendees for these meetings will change, dependent on the topics being discussed, but you can expect your account manager and the commercial team manager to be the ones mostly involved. Regular business reviews help you reinforce what you expect from our relationship. And they allow us to seek clarification on any messages that may be unclear. Rotating where the meetings are held can also be beneficial - for instance, walking our factory floor can help you understand our processes in greater depth. And being on-site also enables you to build relationships with other key members of our team, such as engineering, test and production. The value of these meetings cannot be overemphasised. After all, an outsourcing project is a relationship and the best relationships require hard work and commitment on both sides to ensure longevity and growth. During the first six months of working with you, we will invest time and resources into creating a stable supply chain and manufacturing environment. We will seek to build trust and take steps to avoid and minimise risk. Rest assured that we will always answer your questions and seek out the best solutions to any issues that arise. After all, the best outsourcing relationships are built on mutual values and common goals - with fantastic results. Your competitors are outsourcing their manufacturing, shouldn’t you?